Stretching an impressive 20km, Khe Ry Cave in Quang Binh province’s Phong Nha – Ke Bang complex has been officially declared the world’s longest river cave. 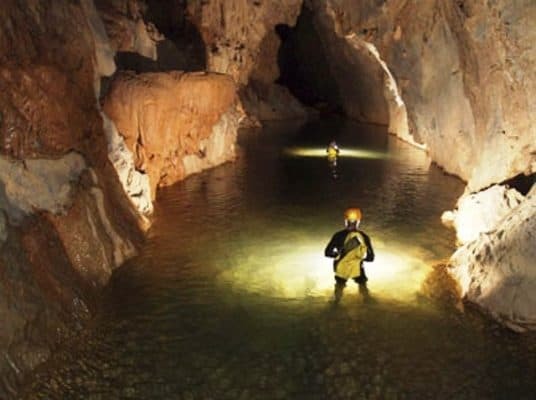 The announcement was made on May 26 by Howard Limbert who has led experts from the British Caving Association on a study project lasting several years. Surrounded by the huge limestone walls, Khe Ry Cave was discovered in 1997. At that time, Limbert’s team only discovered a 13.5km part of the cave. In subsequent years, the expedition continued exploration and mapping of the cave, concluding that the total length reaches over 20km. The cave ceiling is 120m high, allowing boats to pass comfortably through several stages. The experts described Khe Ry as a world of colourful stalactites in many different shapes and sizes. The first water source of Khe Ry River is a stream trickling into the cave at an altitude of 1,300m. This forms the long river, which runs to En Cave before diving down into Son Doong Cave and feeding into the Phong Nha water system. Khe Ry is a huge and significant cave both in terms of its appearance and ecological system. 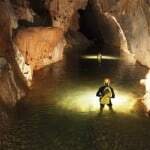 Due to the darkness inside, the cave is home to species such as bats, blind scorpions, fish and amphibians. Scientists said it would take many years to categorise the fauna because many species had never been found before.